Many private entrepreneurs and other legal entities want to have a map of METRO Cash & Carry to buy cheap goods in large quantities. For this they need to present to the nearest METRO Cash & Carry the documents and agree with the terms and conditions of shopping at the Mall. - documents relating to the activities of the organization and its leadership. Map client METRO Cash & Carry can apply for legal entities, individual entrepreneurs, representative offices of Russian and foreign companies, embassies. For individuals, the map client METRO does not apply. Depending on the form of activity of the enterprise collects a package of documents, then the company representative enters the nearest METRO shopping centre. Thus, legal entities need to present terms and conditions of purchase, stamped copy of the certificate on assignment of individual tax number, a copy of excerpts of the corporate Charter, a copy of the order on appointment of the Director by the shareholders, a power of attorney for individuals who will make purchases. All documents must be stamped and signed by the head of the enterprise. The same documents are required from the branches of legal entities. When making a power of attorney for receiving the card should specify the number of power of attorney and date of its issue, the name, legal and actual address of the company name of the person who issued the power of attorney, INN, data on registration in the Unified State Register of legal entities, the validity of a power of attorney and signature of the person who issued the power of attorney. The power of attorney must be notarized. After receiving and checking the documents of the organization, the administration of METRO Cash & Carry gives her the card of the client. It is issued free of charge. After getting it, you can immediately make a purchase. Additional cards are issued only in the Mall where your organization is registered. The organization issued no more than 5 cards. And when I re-register the card you need to present all previously issued cards. 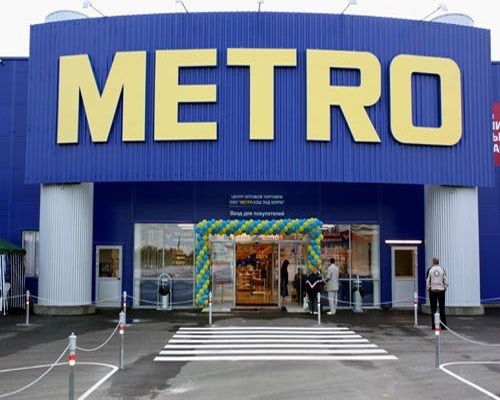 METRO Cash & Carry does not draw cards of customers through intermediaries and via the Internet. And design cards in another way is considered a violation and will result in blocking and withdrawal of the cards from circulation.